Santa Cruz Derby Groms is a top ranked junior roller derby league local to Santa Cruz, California. Our league is dedicated to youth empowerment through the sport of junior roller derby. We provide opportunities for all junior skaters, from beginner through advanced, between the ages of 7 and 17. The Groms have four full-contact teams for intermediate through advanced skaters and a year-round Grommets training program for beginners. The Grommets Training Program is tailored specifically for beginning level skaters who want to learn how to skate and how to play positional and light-contact roller derby. ​Practices are held on Sundays from 3~5pm all year round at the Santa Cruz Derby Girls practice facility in Scotts Valley. 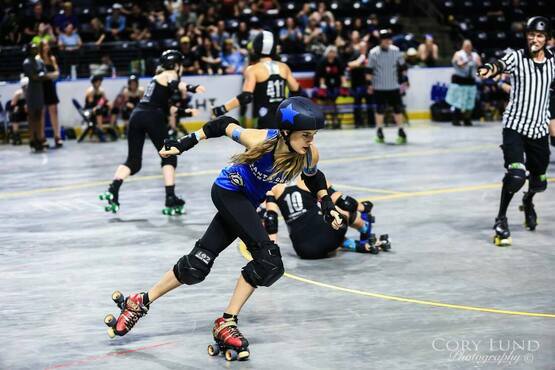 Having learned the foundations of skating and the game, skaters will have the opportunity to join a Groms home team if they are interested in pursuing full-contact roller derby. 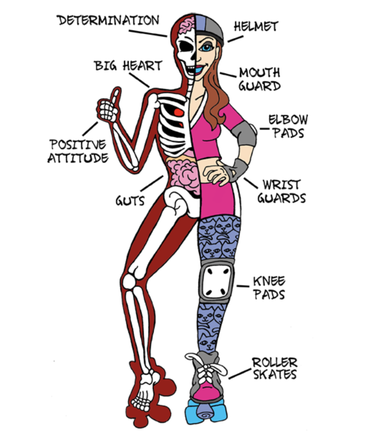 ​Skateworks is a local skateshop that only sells good quality roller derby gear. Their staff can get your skater fitted and ready to roll. You can contact Skateworks at 831-427-4292 or visit the shop at 131 Center St. Santa Cruz, CA 95060.